Don’t leave your child’s nutrition up to vending machines and playground trades. Send him or her to school with a lunch that’s tasty and healthy! Lunchtime for many kids means stopping at vending machines or buying cheesy bread from the cafeteria. If that sounds like your child, it's time to intervene. No child, (or adult for that matter), can hope to stay energized and focused with a belly full of candy and soda. Providing your child with a healthy lunch is one of the best things you can do to foster scholastic achievement and healthy eating habits. If you have active children who participate in after-school sports or activities, making sure they have a good lunch will encourage success. Often, healthy eating habits start in childhood. Giving your children nutritional lunches will help set them up to lead a fit and healthy lifestyle. These kid-friendly lunches are healthy, balanced, and nutritionally sound. Send your son or daughter to school with any of these lunches and you can feel good about their performance in the classroom as well as their growth and development. If you have a child who rarely eats meat, finding a good protein source can be tough. Instead of a turkey sandwich, try sending them to school with a yogurt parfait. 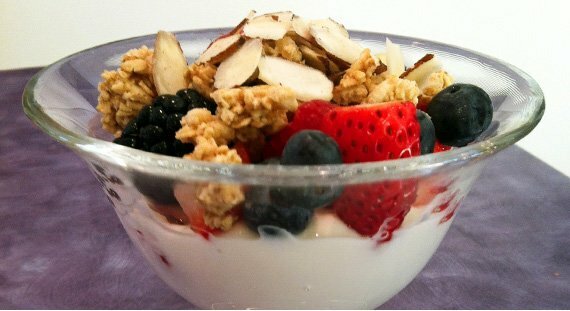 Pack a cup of Greek yogurt mixed with half a cup of their favorite low-sugar fruit like fresh berries or a sliced apple. Add in a small container of toasted granola (which you can prepare yourself to avoid excess sugar) and slivered almonds to sprinkle on top. Alongside the parfait, send them with some raw veggies for additional fiber and nutrients. Most kids will tire of eating the same thing over and over again. So mix it up. A whole-wheat pita serves as the perfect lunch. It's easy to add vegetables so your kids get the recommended 5-10 servings each day. 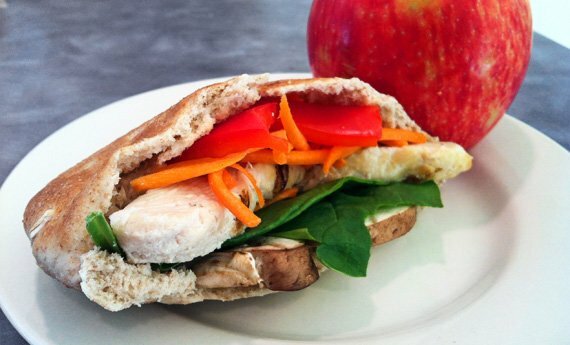 To make the pita, slice grilled chicken breast prepared the night before and then add it to the pita with sliced peppers, mushrooms, shredded carrots, and spinach leaves. Drizzle the meat and vegetables with a bit of olive-oil-based Italian dressing and add some mustard, if desired. Wrap pita plastic wrap and pack it with an apple or banana. It's the perfect blend of healthy fats, lean protein, complex carbs, and fiber. 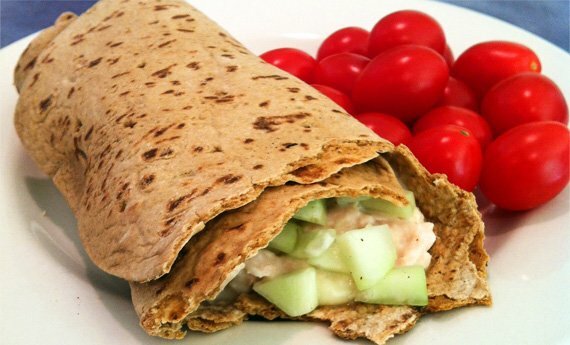 A tuna wrap is the perfect selection for any child who struggles to meet their protein needs. Place some low-fat cheese inside a whole-wheat wrap and then combine tuna with a tablespoon or two of low-fat mayo. Add diced cucumber, salt, pepper, to the tuna and then add it to the pita. Fold the pita, stab it with a toothpick, and then place it under the broiler for thirty seconds so the cheese slightly melts. Cut in pita in half and pack it with a cup of grapes or cherry tomatoes. If your kids love commercially prepared Lunch-ables, it's time to put together one of your own. Most of these meals-in-a-box are complete with processed crackers, deli meats loaded with nitrates, and cheese that offers little protein but a whole lot of saturated fat. These ingredients aren't exactly the "picture perfect" lunch for your children. Instead of buying lab-made food with nasty preservatives, get creative and make something far healthier. Brush a whole-wheat soft tortilla or pita with a small amount of olive oil. Cut into bite-sized pieces and bake for 10-15 minutes, or until crispy. Along with the tortilla pieces, slice low-fat cheddar or mozzarella cheese, and pack them together with pieces of low-sodium, high-protein beef or ostrich jerky. 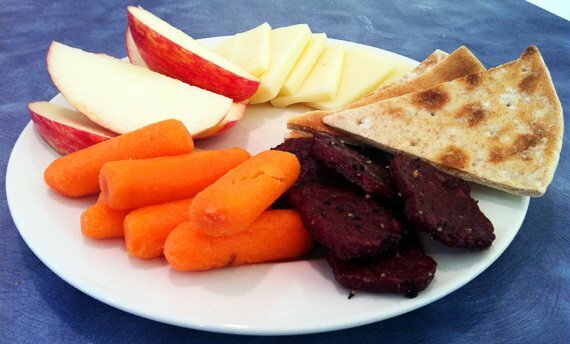 Add raw carrots, celery sticks, and some fruit and you'll have made a nutritionally-sound meal. Children love pizza. Make yours a healthy, home-made version that will be brag-worthy. Slice a whole-wheat English muffin and then smear both sides with a small amount of reduced-sodium tomato sauce. 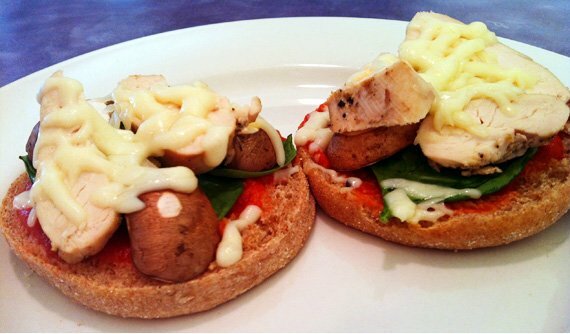 Top with freshly-sliced vegetables, some thinly-cut chicken or shrimp15149, and then sprinkle with some low fat mozzarella cheese. Place pizzas under the broiler for 2-3 minutes so the cheese melts. If you put the pizzas in Tupperware, your child can decide at school whether they want to heat them up or eat them cold.